This book is a collection of articles written by developers and researches from all around the globe. Mostly they present methodologies for separate Systems Engineering processes; others consider issues of adjacent knowledge areas and sub-areas that significantly contribute to systems development, operation, and maintenance. Case studies include aircraft, spacecrafts, and space systems development, post-analysis of data collected during operation of large systems etc. Important issues related to "bottlenecks" of Systems Engineering, such as complexity, reliability, and safety of different kinds of systems, creation, operation and maintenance of services, system-human communication, and management tasks done during system projects are addressed in the collection. 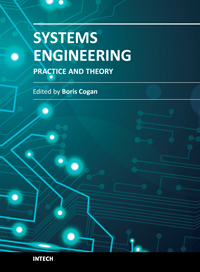 This book is for people who are interested in the modern state of the Systems Engineering knowledge area and for systems engineers involved in different activities of the area. Some articles may be a valuable source for university lecturers and students; most of case studies can be directly used in Systems Engineering courses as illustrative materials.